The Rose Heart with Poem Wood Cremation Urn is a quality wood urn made of select grade red alder and red oak with a clear finish. The heart-shaped border of roses separates the poem from the personalized engraving. This is a fitting tribute the the person who loved roses, flowers, gardening, collected hearts, or was the love of your life. The urn can be personalized with the name, birth and passing dates, and a short endearment. The poem shown is called Forever In My Heart. 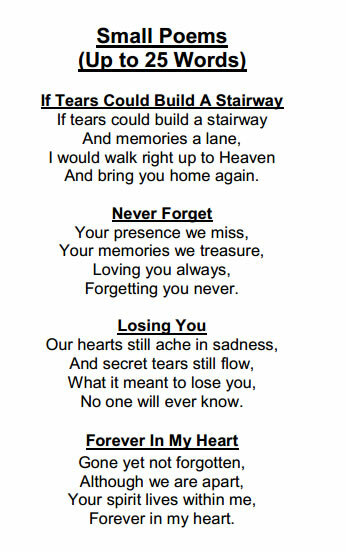 Please click on the tiny print below the photo of the urn to view this poem and other poems available.